After doing a fresh installation of SQL2014 Express on a Windows 2012R2 standard server i got an error while connecting to the server instance. The errors in the application log seem odd because the server had no e drive! During testing i found out that could only start the instance in single user mode and when i tried connecting through SQL management tools the service would crash. After reviewing the output it looks that some of the databases where configured on a non existing drive for reasons unkown.. I used these commands to get the databases on the right drive/directory. Be aware that the model database needs to be set first otherwise the other databases wont’t be changed and you’ll get lots of errors! 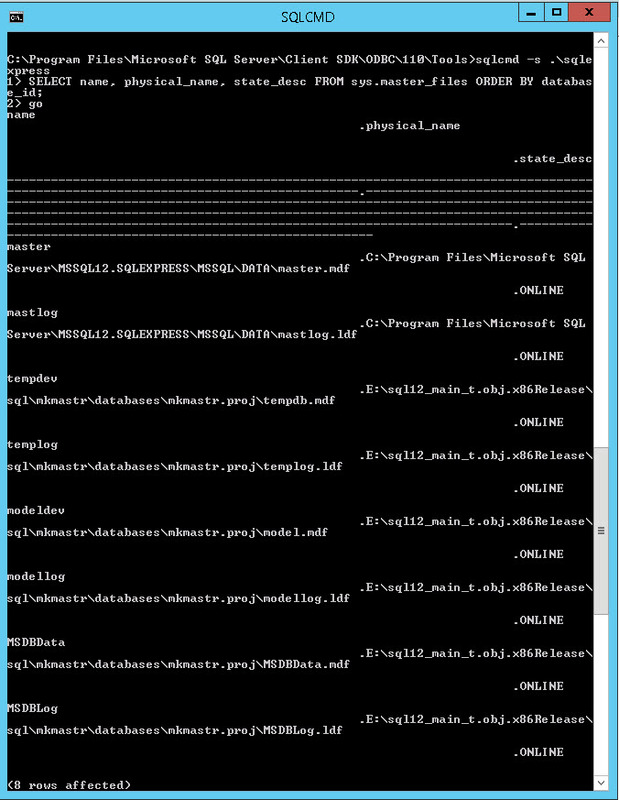 After that I restarted the SQL service and it would now start without issues! After tripple checking all the passwords it seems that the SA account wasn’t created properly so that needs to be fixed..
Now connect to the instance with the SQL management tool and user noob and whatever as username and password. You can then change the SA users password and add the domain members you want with the specific required rights. After that is done don’t forget to disable or remove the noob account for security reasons! Tracing back the installation steps I found out that during the installation there was a warning indicating there was a problem executing sql scripts.